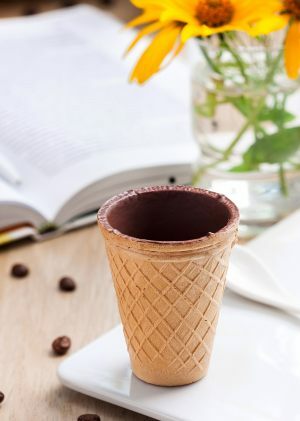 Yummy cup 90 – it is a wafer coffee cup glazed with chocolate, which is a great replacement for standard plastic or paper cups. 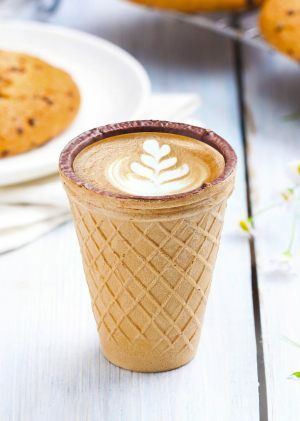 Edible cups are becoming a real trend due to the wide spreading eco-products trend. 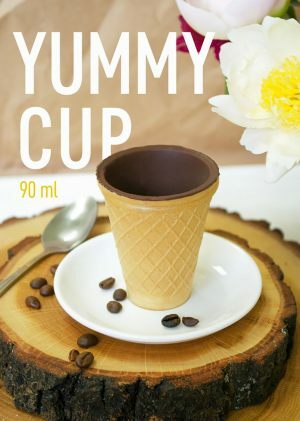 Yummy cup is one of such kind. Fill it with espresso or doppio and make your customers curious about the tasty drink. 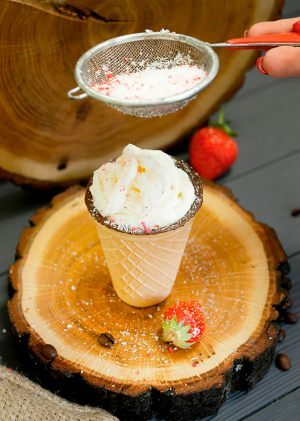 Walls of these cups are covered in the special chocolate glaze. It makes them leak-proof and adds an elegant smell and taste of chocolate to the drink. Have your coffee first, then eat the cup. What can be easier?